Speaking to reporters after talks with President Trump this week, French President Emmanuel Macron said that Paris's Syria stance no longer includes the removal of President Bashar Assad from power as a priority. Russian observers say the about-face is significant, serving as the first inkling of a new paradigm in French Middle East policy. Speaking to reporters at a joint press conference in Paris after his meeting with the US president on Thursday, President Macron confirmed that France no longer insists on Syrian President Bashar Assad's ouster, and sees the fight against terrorism a more important priority. "We have changed the French doctrine with regard to Syria; our fundamental task now is to eradicate terrorist groups, no matter [where] they are," the president said. After their talks, Trump and Macron proposed the creation of a contact group to develop a roadmap for a settlement in Syria. The French president specified that this group should include permanent members of the UN Security Council, stakeholders in the region and representatives of the Assad government. In turn, President Trump said that Washington was working on a second truce in Syria with Moscow, emphasizing that the first ceasefire was made possible only thanks to earlier Russian-US contacts. French President Emmanuel Macron and U.S. President Donald Trump listen to national anthems during a welcoming ceremony at the Invalides in Paris, France, July 13, 2017. Russian officials have reacted to President Macron's remarks with a cautious sense of optimism. Senate Foreign Affairs Committee deputy head Vladimir Jabbarov said that a real opportunity has emerged, perhaps for the first time, "to unite the efforts of the Syrian Army, the Russian Aerospace Forces, and the Western coalition in the fight against terrorism in Syria." Leonid Slutsky, the head of the Duma's Foreign Affairs Committee, suggested that the French and US position on Syria may have changed recently thanks to bilateral meetings that both leaders had earlier had with Russian President Vladimir Putin. The new position in Paris could only be welcomed, Slutsky stressed. For his part, Senate Foreign Affairs Committee head Konstantin Kosachev said that Macron's about-face was a sign that the new French president is looking to return his country to world politics as a major player. Still, he added that this "wonderful and long-awaited piece of news" will now require concrete proposals for cooperation to move forward. 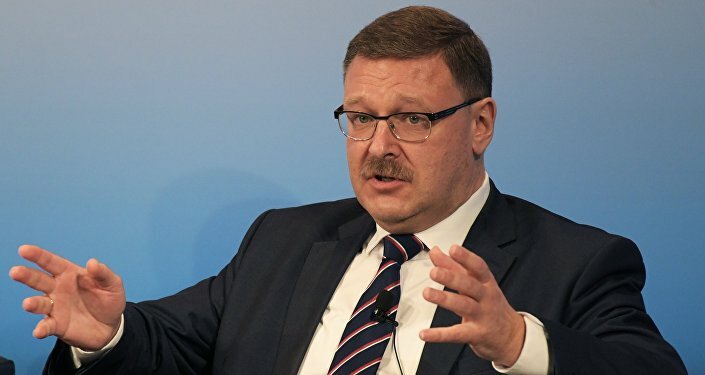 Kosachev welcomed the creation of a working group, but only on the conditions that the proposal is genuine, and that it does not undermine the negotiation processes in Geneva and Astana. Russian political observers have offered a more subdued assessment. 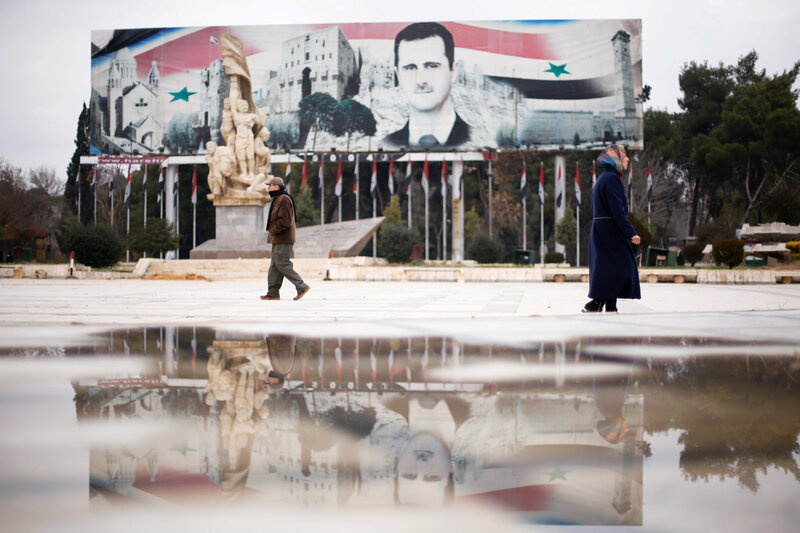 Elena Suponina, a Middle East expert at the Russian Institute for Strategic Studies, told RIA Novosti that only "the coming months will show" how serious the West is about the idea of cooperating with Russia, and recognizing the Syrian government's right to govern. 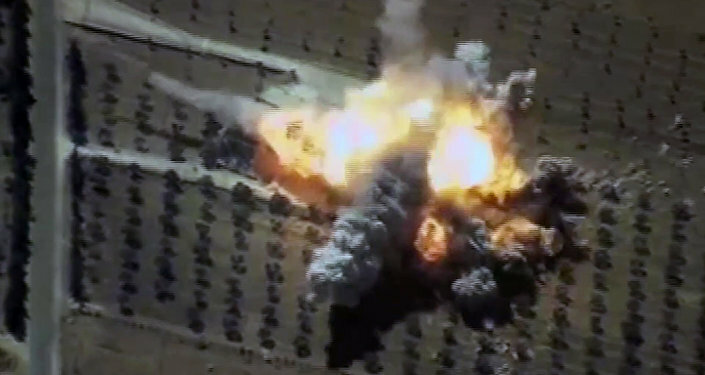 The expert recalled that President Trump had made similar promises on cooperation with Russia against Daesh during the 2016 election campaign, only to turn around and bomb a Syrian airbase on baseless charges that the Syrian government had launched a chemical attack back in April. 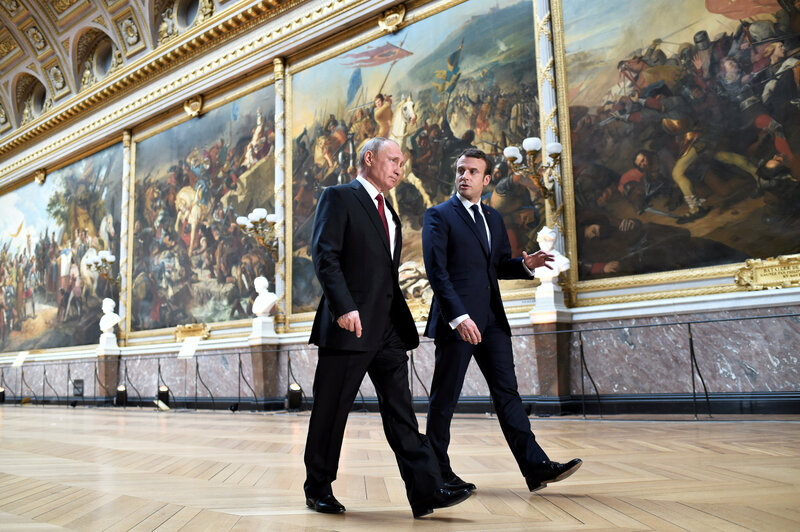 Sergei Fedorov, a senior researcher at the Russian Academy of Sciences' European Studies Institute, told Russia's Svobodnaya Pressa online newspaper that as far as President Macron was concerned, Thursday's remarks were a continuation of a broader positive trend. 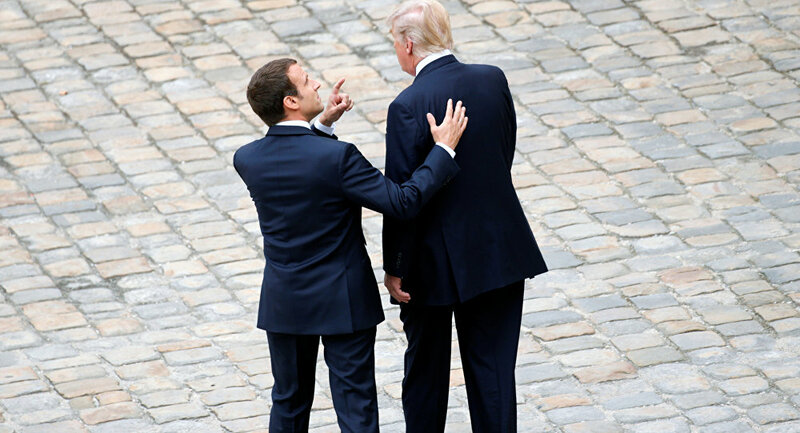 In any event, the analyst noted that "this is not a sensation, because Macron had said earlier that France would not demand Assad's immediate departure. On Thursday, he only confirmed this position." In any case, "the very fact that the country's leadership is more realistic in its understanding of the situation in the Middle East is encouraging," Fedorov added. "In particular, Macron recently condemned the intervention in Libya, which France had undertaken together with the UK. This is a positive point, which suggests that the prospects for a joint Russian-Western struggle against international terrorism in all its forms is opening up." In turn, Stanislav Tarasov, a well-known Russian specialist in Middle East studies, explained that Macron's move is an indication that the new president wants Paris to play a more prominent and independent role in the global geopolitical arena. "We see that Macron's France, unlike the France of his predecessor, is beginning to develop a new paradigm for Paris's foreign policy in the Middle East. 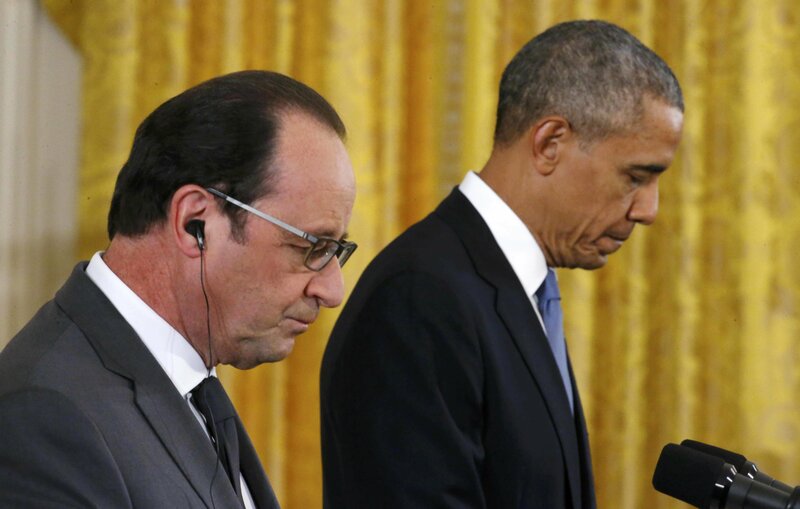 [Former President Francois] Hollande practically did not have a policy, choosing instead to toe the line of the Americans, in a servile position. Paris did not even have its own clear position regarding Assad," Tarasov recalled. "It's not by chance that many French Middle East experts and political scientists criticized Hollande for this, believing that France has lost its influence in a traditionally important region – not only in the Middle East, but in North Africa as well," the observer added. The same was true as far as the fight against terrorism was concerned, the expert noted, with Paris simply aligning itself with Washington in the past. And as far as dialogue on the Syrian settlement was concerned, here too Hollande had left it up to the US to negotiate the Western position. "But now, in connection with Trump's arrival, his own attempts to outline the contours of a Middle East policy, and especially after the oral agreement on a truce in southern Syria that was reached with the Russian president at the G20 summit in Hamburg, the French too have decided that it was time to enter this game," Tarasov said. In the meantime, Macron, according to the analyst, has factually accepted the Russian position, which is not so much about protecting the Syrian government as it is about saying that there are other serious problems (the fight against Daesh, reaching a political settlement, administrative and political reforms in Syria, etc.) which are worth focusing on. "As we know, the US, Turkey and other countries had previously stubbornly stated that Assad must go immediately. But in this case the serious danger emerged that the country would be fragmented, and transformed into not just another Iraq, but into a Libya." "With this in mind, Macron's statement is a symbolic move," indicating that France is looking to return its status as a member of the 'big concert of states', Tarasov noted. "This position can only be welcomed. It was not accidental that he made this statement not long after his meeting with Vladimir Putin in Versailles, and after other contacts with Russian leaders…France is starting to denote a more prominent role in the Middle Eastern settlement, and in world politics." For now, Tarasov admitted, the French president's statements are just words, and only time will tell how the situation will progress. Still, if France and other Western powers, as well as Turkey, recognize Assad's right to rule, it will give Damascus a new legitimacy, allowing, for example, for direct negotiations between heads of state, and give the Syrian government a range of opportunities for its own diplomatic maneuvers.